Organizers reported a strong U.S. Sailboat Show, which was held Oct. 4-8 in Annapolis, Md. Island Packet debuted its first model in 15 years priced less than $300,000 and sold one within 90 minutes of the show opening. Katie Baker, of Leopard Catamarans, reported more than 2,000 leads and several boat sales, and said the company beat their targets for charter sales. "This is a fun show with so many educational opportunities for sailors at all levels. 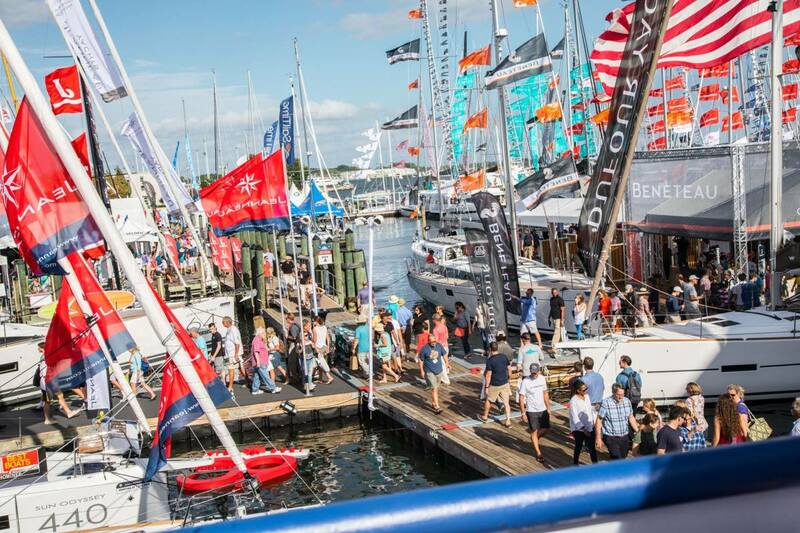 We see it as our mission to encourage the growth of sailing, and we are always designing new programs to attract more boaters to the lifestyle and to Annapolis," said Annapolis Boat Shows president Paul Jacobs in a statement. "This year two Alaskans came to the show; attended Take the Wheel, an interactive on- and off-water educational program; participated in a sea trial of the Jeanneau Sun Odyssey 349; and then walked over to the Jeanneau exhibit and purchased two new monohulls," Jacobs said. Annapolis Boat Shows&apos; hurricane relief efforts were recognized at the Sail America Industry Breakfast with the "Best Party Award." Hands Across the Transom, organized by Annapolis Boat Shows at last year&apos;s events, was a fundraising effort to support the marine industry where it was hardest hit by hurricanes.